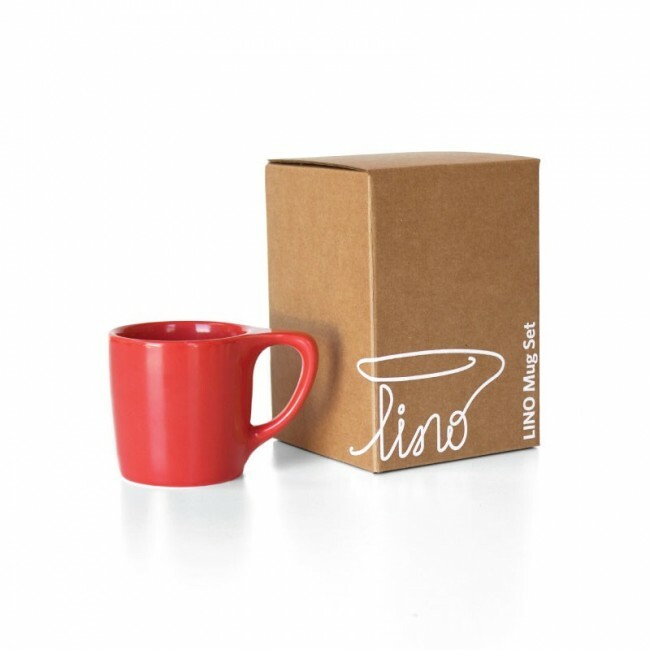 A mug designed specially for coffee drinkers, the NotNeutral Lino mug brings bright colors and a bold design to your kitchen. Shaped in dishwasher- and microwave-safe porcelain, the Lino mug's flat thumb grip, thick base and curved lip offer a premier drinking experience from the first sip to the last. Set of two. Each mug holds 10 ounces. 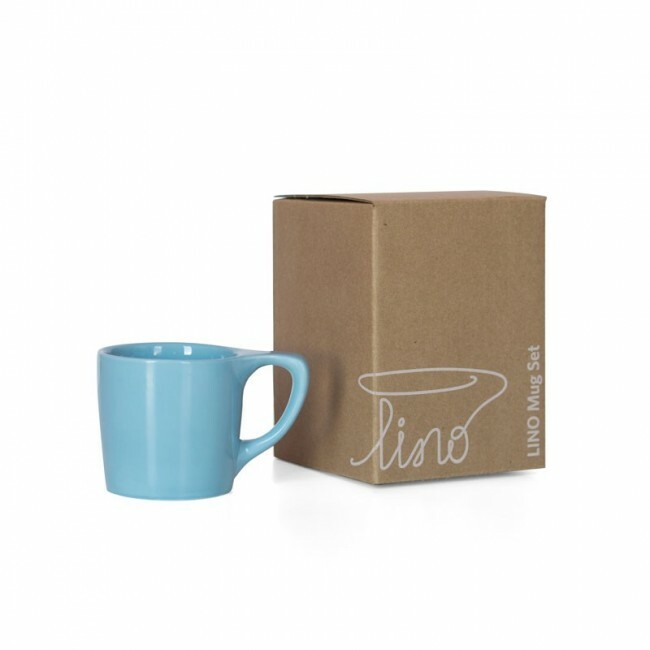 Thumb-Grip - An asymmetric handle with a flat top makes the Lino mug exceedingly comfortable to handle and hold. 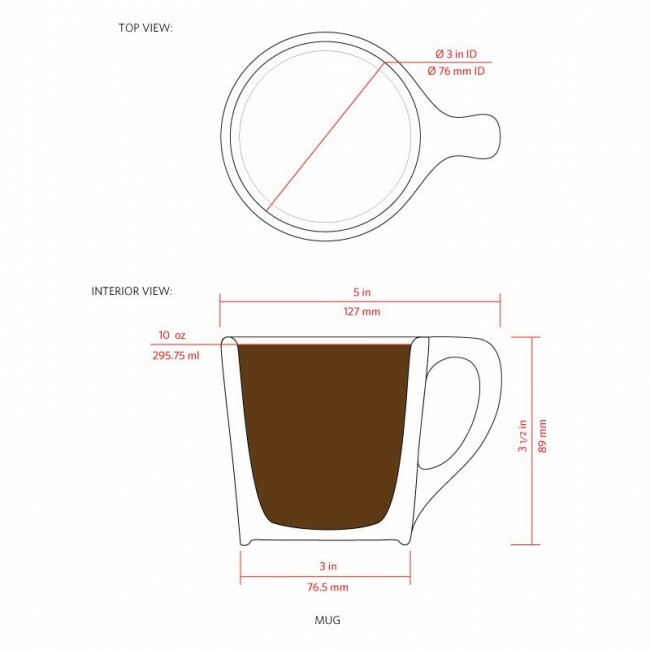 Coffee Sized - A 10-ounce capacity is just right for most coffee drinkers. 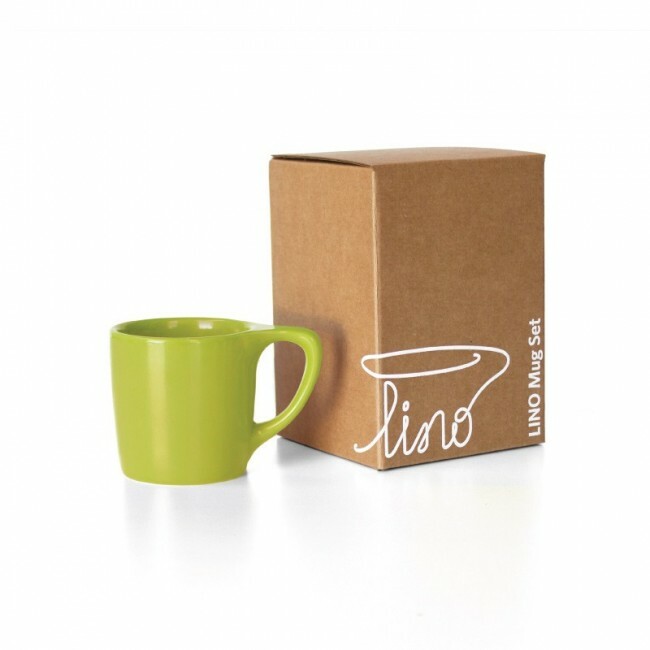 Curves in all the Right Places - An inward curving lip and a thicker, heat retentive base make the Lino mug a joy to drink from. A Drinking Experience - Design jargon aside, these mugs are actually very well made and are nice to drink out of. Expensive - As far as mugs go, these are on the pricy side. 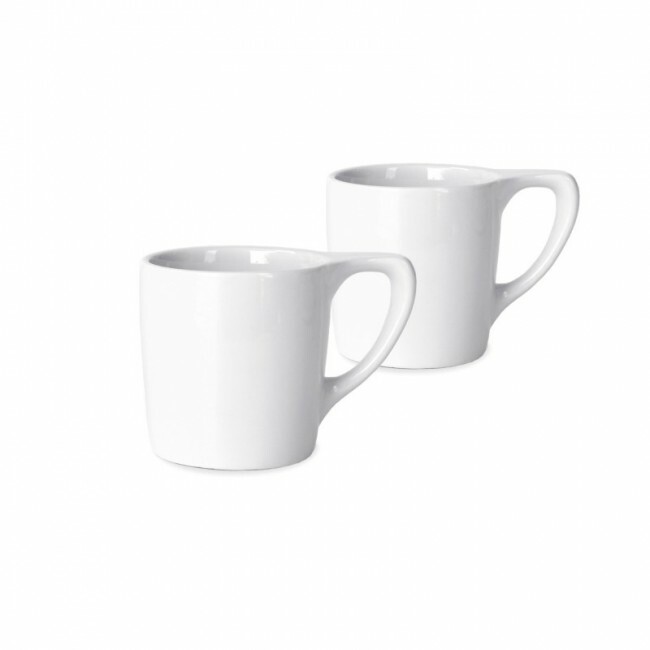 You probably don't think much about mugs, we didn't either. But, after putting a couple in rotation in our office kitchen, they've become highly coveted as 'the good mugs'.